It wouldn’t be Christmas without some glitter would it? 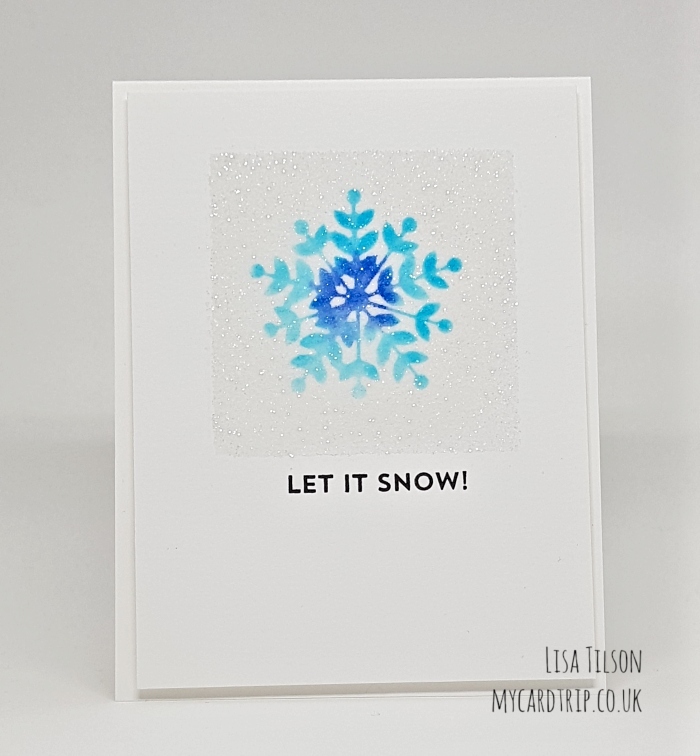 And today I have a video showing you how to add a glitter overlay to a stamped image – a great way to use glitter with minimal mess! I learned this technique a few years ago whilst taking a class over at Online Card Classes. 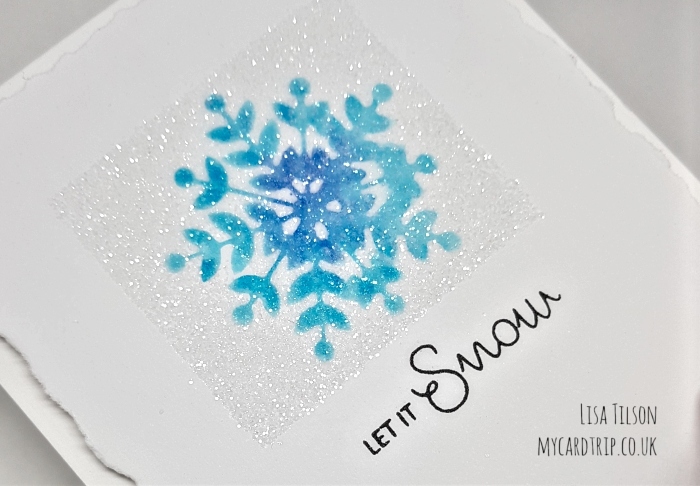 I will show you how to turn a pretty watercolour stamped image into a sparkly framed image. It’s easy to do and I show you two ways to achieve this. Today is a special day for those of us that make videos. It has has become increasingly hard to get your videos seen and heard on YouTube. YouTube frequently change the way they run their business and with that in mind, earlier this year Justine Hovey organised a very successful YouTube Hop for smaller YouTuber’s, a way to help them be found and watched a little bit more. And she has very kindly decided to organise another one, so I thought I would take part. 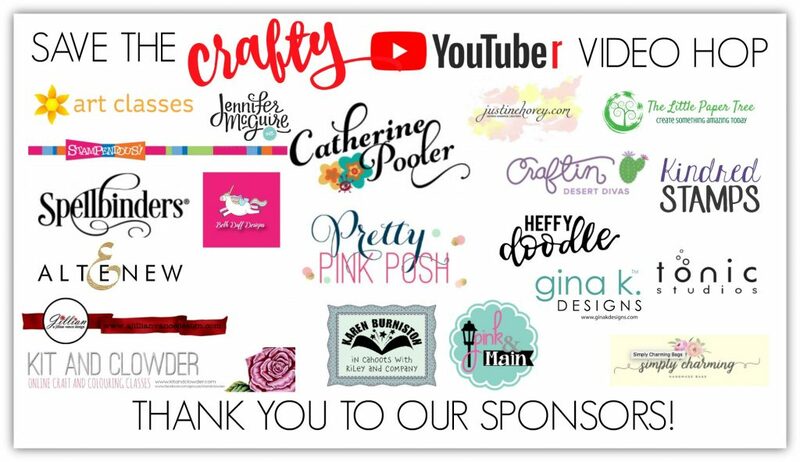 There are many generous sponsors supporting the video hop and lots of people are doing their own personal giveaways. Leave comments on as many vidoes as you like to be in with a chance of winning a prize. Now onto the video. I’ve tried to keep it as short as possible as this is a video hop and there are lots of fun videos for you to watch and learn from. If you have any questions about my technique, leave a comment either here or over on YouTube and I will get back to you. And here are the two cards that I made in the video. As always it is notoriously difficult to capture that sparkle but in real life they twinkle away and look so pretty. I am doing a personal giveaway as part of the hop. You will need to leave a comment on my video over on my YouTube channel and I would love for you to take part. My giveaway is open internationally and it closes on 7th November. Prizes will be announced on November 10th on Justine’s channel and over at her blog. You must make sure to mention whether you are from the USA or International when you leave your comment, in order to be eligible to win a prize. Thank you as always for your visit. I would love to hear any comments you have on the technique or cards – they are always so appreciated. Have a wonderful day and happy hopping! These are beautiful. 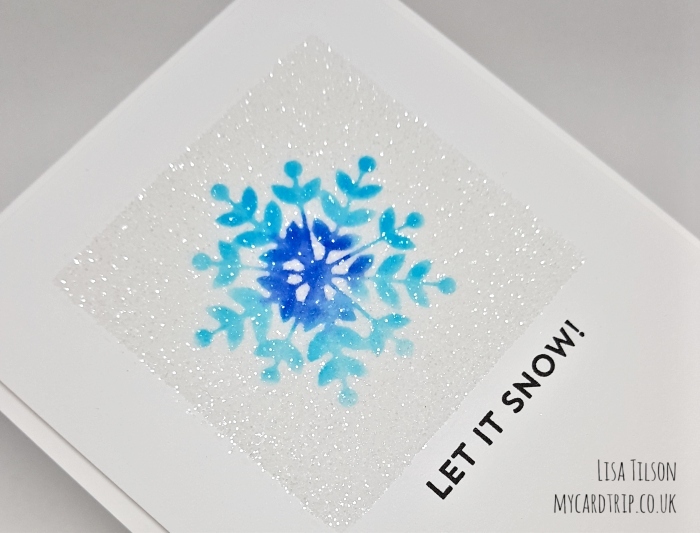 I love the clean and simple design that shows off the stamping and glitter. 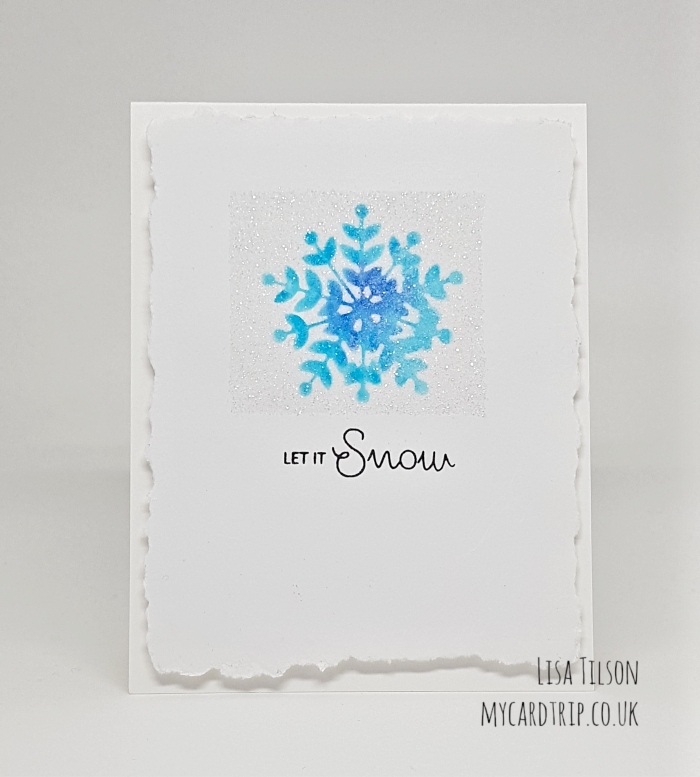 Really lovely, This is a quick and easy way to give a punch to a clean and simple card. Thanks for sharing this with us.